Kentucky emerges as the top seed in the South, as none of the Top Four seeds survive in the Southern Region as Kentucky, Kansas State, Loyola-Chicago, and Nevada head to Atlanta, GA to battle for a spot in the 2018 Final Four! In one of the most amazing first weekends for any region in the history of the NCAA Tournament, the South region will be known for a couple of tournament firsts, the first of course was #16 seeded UMBC’s upset of #1 seeded Virginia in the round of 64, the second is the fact that for the first time in NCAA history, the top four seeds didn’t get out of the first weekend! joining Virginia in exiting in the opening round were #3 seed Tennessee and #4 seed Arizona, while the #2 seed Cincinnati blew the biggest lead ever in NCAA history as Nevada came from 22-points down to oust the Bearcats! So just about anything is possible in this region, as #5 seed Kentucky, the 4th place finisher in the SEC, has emerged as the media’s favorite to move on to the Final Four in San Antonio, but are they? They certainly are the Tournament committee favorite at this point, but how did that work out for the four teams seeded above them? But, the South does have another distinction, it is the one region that still has two conference champions, Loyola-Chicago of the Mo Valley and Nevada of the Mountain West, in its four teams on one side of the bracket. While on the other side, two teams that finished fourth in their respective conferences, Kentucky in the SEC will battle Kansas State of the Big 12. With that in mind, let’s look at the Sweet 16 match-ups and see who has the best chance to move forward. Both of these squads have had tough stretches during the regular season, losing more than ten games each and finishing in fourth place in their conferences. But, both have put it together in post-season play and have put together their best basketball at this point of the season. John Calipari’s Kentucky squad (pictured) is a long and explosive group of young talent that features freshmen as their top five scorers that average between 9.4 and 15.6 points a game. They are led by 6-9 forward Kevin Knox and 6-6 Shai Gilgeous-Alexander who both have been stellar in the first two games of the tournament, especially Gilgeous-Alexander who scored 27 vs Buffalo, while hitting 42% from beyond the arc, and using his 7-foot plus wingspan to create 4-plus steals a game. Throw in the explosive athletic play of 6-8 P.J. Washington and 6-5 Hamidou Diallo, along with the bench play of 6-9 Wenyen Gabriel (16 points and 10 boards vs Buffalo) and the ‘Cats seem to really be clicking on both ends. Bruce Weber’s Kansas State charges have been one of the best defensive club’s in the tourney holding Creighton to 59 points and giant Killer UMBC (which scored 74 on Virginia) to just 43 points in their opening weekend wins! They are led on the defensive end by 6-3 junior, Barry Brown, one of the Wildcats two upper classmen, 6-0 point Kamau Stokes it the other. But, they play great team defense as well! Offensively they are led by 6-10 Dean Wade and Brown, who both average 16 points and outing while four others including 6-5 Xavier Sneed chip in between 7.1 and 10.7 points and outing. Defense will be a key in creating the tempo that K-State wants to play on Thursday! For Kentucky – They have to stay focused to the task and learn from others in the first weekend and not look ahead to the elite eight or final four, or they won’t get there! They have to control the glass, rebound and force an up tempo game, to keep from being put into a half-court game where K-State can use their swarming defense to nullify the ‘Cats athletic advantages. Also, Kentucky needs to get out front early and not to play catch-up form beyond the arc late. For Kansas State – Can the Wildcats control the tempo & style of the game by competing with Kentucky on the glass, and getting back on defense when they don’t, to take away transition opportunities from the ‘Cats. K-State will look to Barry Brown to give them the same type of defensive effort vs Shai Gilgeous-Alexander that he gave versus Jarius Lyles to help disrupt Kentucky in the half-court. Defense will be the key to keeping score down and limiting possessions that gives K-State best shot at pulling an upset in Atlanta. The outcome: Strange as it seems, I really believe this is going to be a close one, although Kentucky has a larger stable of athletes, their youth will make this a game that is decided late and could go to the last possession. I see it as a toss-up, but will pick Kentucky by the slimmest of margins due to the examples that this region set in week one of the tournament! These two squads won their conference regular season titles, as well as their conference tournaments and have been on a roll through the first weekend of the NCAA’s! Nevada made the biggest come back in NCAA tournament history charging back from 1 65-63 deficit vs #2 seeded Cincinnati to win a 75-73 thriller, while Loyola-Chicago won both its games in week one on the last shot of the game in victories over #6 seed Miami-FL and #3 seed Tennessee. SO neither squad will get rattled under pressure, that’s for sure! Eric Musselman’s Nevada squad is led by 6-7 junior twins, Caleb and Cody Martin, who give them a dynamic wing duo that can create plays on both ends of the court. They get solid support from two versatile 6-7 talents in Jorday Caroline and Kendall Stephens, along with another steady upper classman Lindsey Drew. This quintet of upper classmen average between 8.1 and 18.8 points a game (83ppg as a team), and all of them has the tools to go for twenty on any given night. This makes them tough to defend for forty minutes, just ask the Bearcats! Porter Moser has developed a Loyola-Chicago squad that is as unselfish as any in the NCAA’s, they work together on offense as a unit and have the patience to run the shot clock down to under five when necessary to get the opportunity to score, and don’t care what the game situation, as they proved at the end of both of their tourney wins. They have five players in double that average between 10.4 and 13.3 points a game headed by 6-1 junior Clayton Custer and 6-5 seniors Donte Ingram and Aundre Jackson. They, like K-State in the first game will want to limit possessions by using their tough, hard nosed approach on the defensive end it has been their strength so far in the NCAA’s! For Nevada – To remain in control of their emotions versus the tough defense they will face from Loyola, and attack the class and run whenever they are given the opportunity. Winning the tempo battle could be key in establishing a lead and not get themselves into the hole they had to crawl out of vs Cincinnati. Getting into close game with Loyola hasn’t ended well for others, the Wolfpack has to take advantage of what the Martin twins give them offensively, they can be the edge that gives Nevada the edge in this one. For Loyola-Chicago – The Ramblers have just got to do what they have done up until now, control the tempo, stay controlled and efficient on offense and know who is the right man to score in every situation. Sounds both difficult and easy, but it will be determined by the Ramblers ability to impose their defense on the Wolfpack, and take away their ability to run and attack the rim. The outcome: Like game one this one will be close throughout as Loyola will succeed in slowing the game down to a tempo that gives them a chance to win, but it will come down to whose stars, the Martin Twins for Nevada or Custer and Ingram for Loyola, win the end of game battle. Both duos are capable, but I lean toward Nevada’s duo in this one by a bucket. But, don’t be too surprised if Cinderella finds her slipper, I’m just sayin! 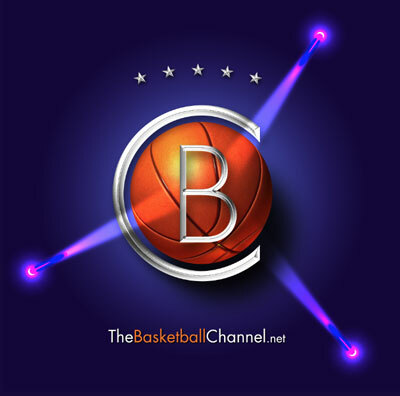 Up next we will break down the West Region, Thursday’s other bracket in the Sweet 16, right here at thebasketballchannel.net.